By the way, if you're ever in Derry NH, stop in and have breakfast at iView! Their bacon and eggs are really good, and their pancakes rock as well. 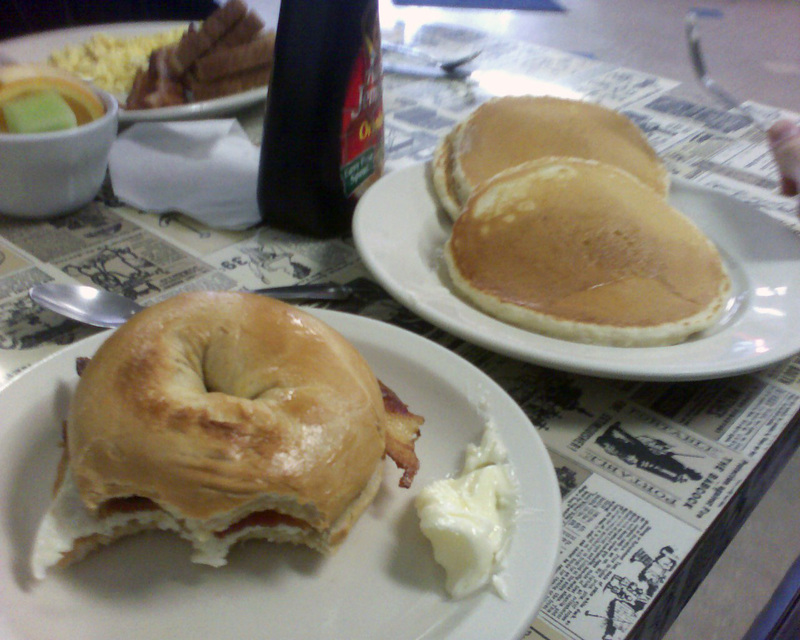 The food in the picture, my breakfast Thursday morning (afternoon), is much larger than it looks. Seriously, it's really good.